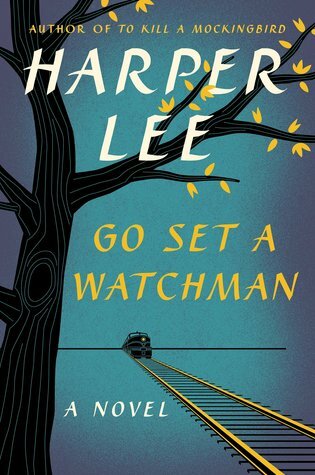 Tomorrow is the release of Harper Lee’s Go Set a Watchman, the highly anticipated prequel to her only other novel, To Kill a Mockingbird. Of course, everyone freaked out when the release of this novel was announced, mostly because Mockingbird was a literary work of art and we’ve all been waiting decades to see what else she has to say, but also because Lee is a known recluse and no mention of this prequel has ever been made. Unfortunately, as evidenced by our world today, people will latch onto anything as an excuse to take a stand and get mad about something, so of course there are people attacking the release saying it was a marketing ploy and the decision to release it was made by Lee’s manager, not by Lee. Until Lee chimes in on the subject, we cannot know whether these accusations are correct, so how about we all just calm down and read the book? That’s my plan. My pre-ordered copy will grace my mailbox with its presence in a matter of days and I can’t wait! I’m going to give it the benefit of the doubt and assume it is innocent of corrupt origins, assume that it is a gift instead of a ploy. Let’s all do that.